Ethiopia is in the middle of an El Nino induced drought which has left 5.8 million people across the country without access to adequate water. More than 220 districts of Ethiopia are facing water related emergencies that arise due to either a lack of availability or quality of water. Groundwater, compared to rivers/lakes or other surface water, supplies 80 percent of all drinking water in Ethiopia. Water from the groundwater aquifers supports emergency water supply, urban water supply and livestock watering. With limited rains, many of these shallow groundwater wells have run dry and these communities rely on expensive commercial trucks to haul in water. The more sustainable groundwater is located at extremely deep depths. In some cases, more than 300 metres below the ground which is the equivalent in height of the Empire State Building. To locate water that deep and then to drill and extract it is a major challenge. 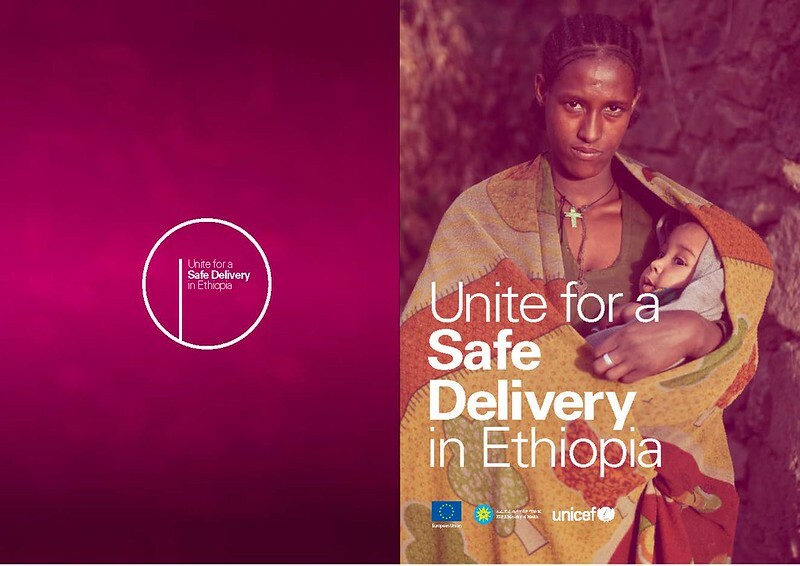 To tackle this problem, the European Union and UNICEF have selected 9 of the worst affected districts across Ethiopia to use ‘satellite’ technology to locate groundwater. The EU Joint Research Centre (JRC) are providing their expertise by availing ‘no cost’ satellite images which depict the physical and topographical characteristics of the districts from satellites 100s of KM in the sky. 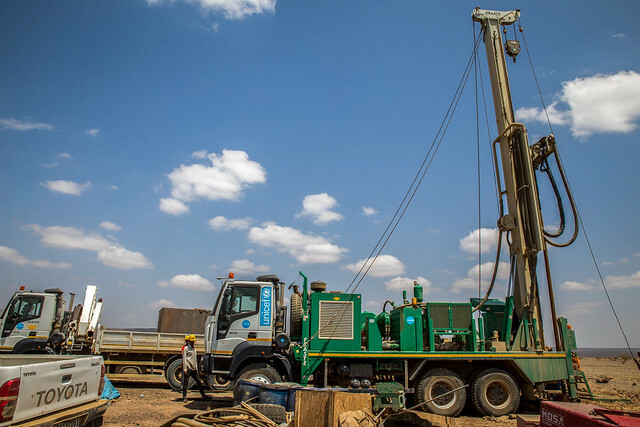 These are then combined by UNICEF hydrogeology experts to locate appropriate sites for the drilling of essential deepwells for drought affected communities. UNICEF would like to express its thanks to the European Union Delegation and the EU-JRC, for their establishment of a remote sensing partnership with UNICEF and providing the un-reserved support so far, which we believe to be strengthen and extended further in the future. 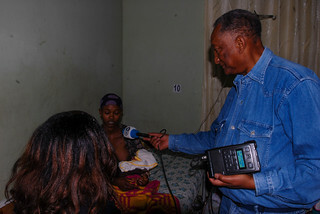 Innovative approaches like these are already showing results for boys and girls in the hard to reach areas of Ethiopia. 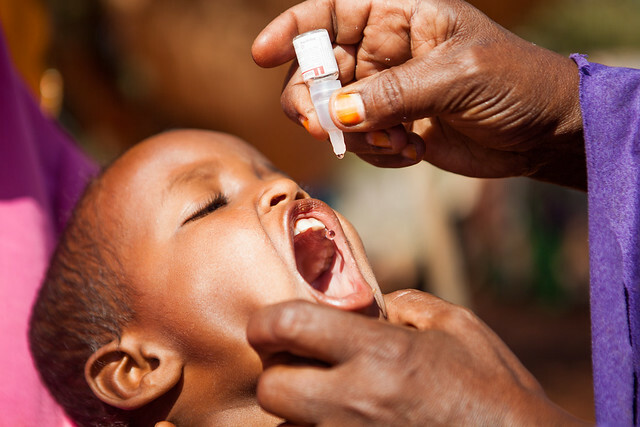 Somali Region, Ethiopia, 12 May, 2014 – Ethiopia kicked off a polio vaccination campaign on 3 October 2013, targeting 13 million children across the country following an emergency response that began in the Dollo Ado refugee camps in June 2013. 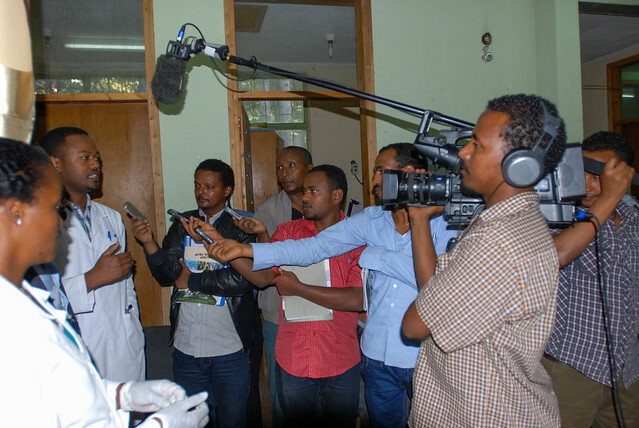 In July 2013, Ethiopia Reports First Wild Poliovirus Case Since 2008. 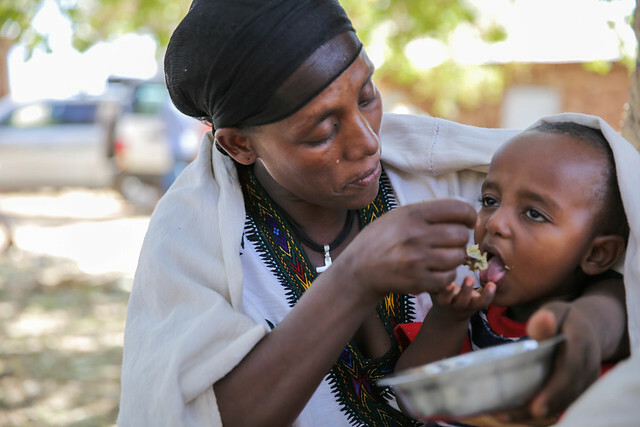 Ayan Yasin, a four-year-old girl, was one of the first confirmed polio cases in Ethiopia. Ayan lives with her father and mother, a typical pastoralist family, in their house, made of tin, wood and woven bed sheets in a remote secluded area three kilometers from Geladi Woreda in Ethiopia’s Somali Region. 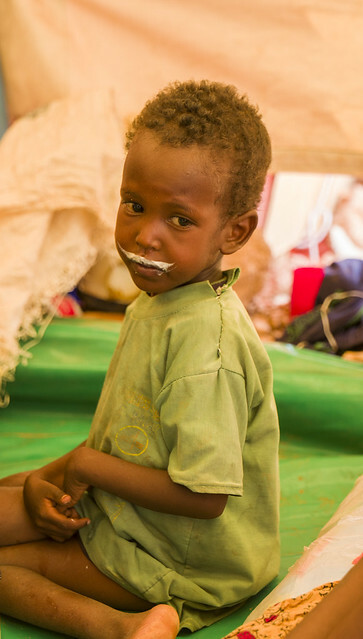 Living next to the Somalia border means that the family move frequently between Ethiopia and Somalia – making routine immunisation practices difficult. When Ayan fell sick, her father took her to the nearest hospital in Somalia where he was told there was very little hope. After many visits to various health posts, Hergeisa Hospital finally confirmed she had Polio. “We call this illness the disease of the wind. We know that there is no cure for it, and that it can paralyse and even cause death. My daughter hasn’t died but it has disabled her forever,” says her father. Close to 50,000 health workers and volunteers and 16,000 social mobilisers have been deployed all over the country as part of a campaign that includes remote and hard to access areas. With the support of the European Commission- Humanitarian Aid and Civil Protection Department (ECHO), UNICEF has procured vaccines to support immunisation efforts particularly for children and the refugee population being hosted in the Somali Region. 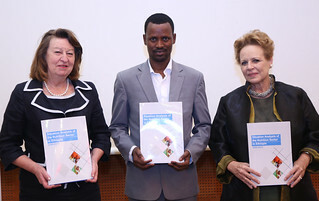 In total, 135,000 vials or 2.7 million doses of bivalent Oral Polio Vaccine (bOPV) were procured to immunise 2.43 million children with a polio vaccine – a critical input to immunisation activities in the Somali Region and Polio high-risk areas. The support from ECHO has also helped to airlift the Polio vaccine to hard-to-reach zones of Afder, Gode and Dollo in the Somali Region. 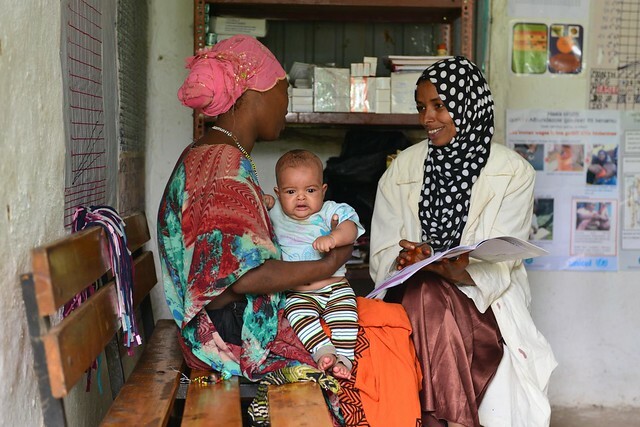 Supplementary Immunisation Activities (SIAs) were conducted in Ethiopia, Somalia, Kenya, and Djibouti to accelerate progress towards ending Polio in the Horn of Africa. The synchronised SIAs were an outcome of the Horn of Africa Countries Cross-Border Polio Outbreak Preparedness and Response Meeting in Jigjiga, from 21 to 23 May 2014, where Ethiopia, Somalia, Kenya and Djibouti agreed to strengthen cross-border collaboration to eradicate polio from the Horn of Africa. To reinforce support and strengthen Polio eradication efforts in the Somali Region, a high-level delegation consisting of Dr Kebede Worku, State Minister of Health, Mr Abdufatah Mohammed Hassen, Vice President of Ethiopia’s Somali Regional State and Head of the Somali Regional Health Bureau, Dr Pierre M’Pele-Kilebou, WHO Representative to Ethiopia, and Dr Willis Ogutu, Head of UNICEF programme in Somali Region, visited Warder in Dollo Zone, the epicentre of the wild polio virus outbreak in Ethiopia, on 14 June 2014. The delegation, together with the Warder Zonal Administration, launched the ninth round of Supplementary Immunisation Activities (SIAs) in the outbreak zone and formally inaugurated the Zonal Polio Outbreak Command Post, which had been established in April 2014 to improve coordination of response activities. While the campaigns to vaccinate children against Polio in the Somali Region have been going well, ensuring long-term success in eliminating the disease will require sustained interventions. With the help of developing partners like ECHO, Bill and Melinda Gates Foundation, the Rotary International and the Crown Prince of Dubai, UNICEF together with the Ministry of Health is continuing its efforts so that young children like Ayan Yasin living in the region are protected from the disabling symptoms of the Polio disease.